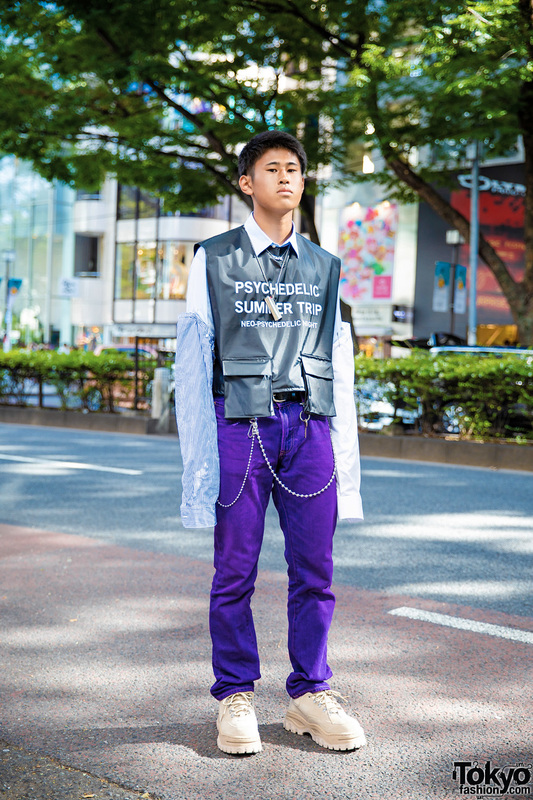 We ran into Jin, whose remake and new street style caught our eye in Harajuku. 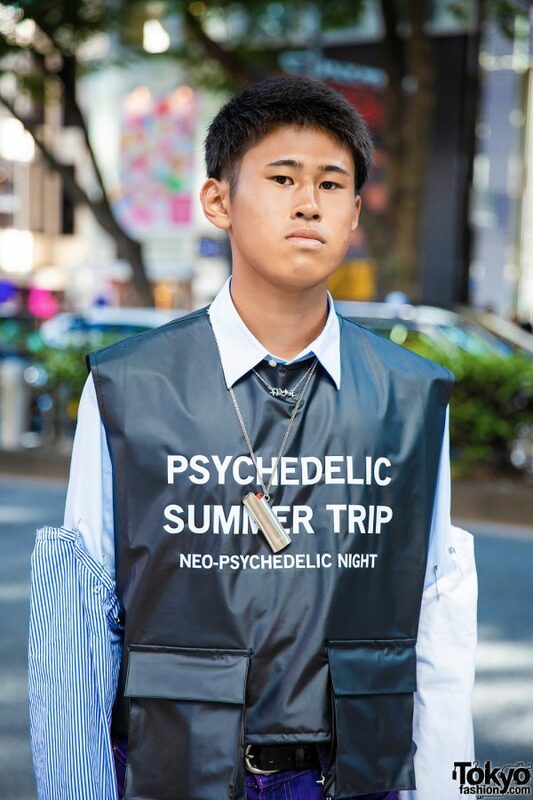 The 17-year-old student wore a black “Psychedelic Summer Trip” vest from More Than Dope with two pockets on the bottom. He wore it over a remake Uniqlo button-down top, which featured contrasting sleeves held together by safety pins. 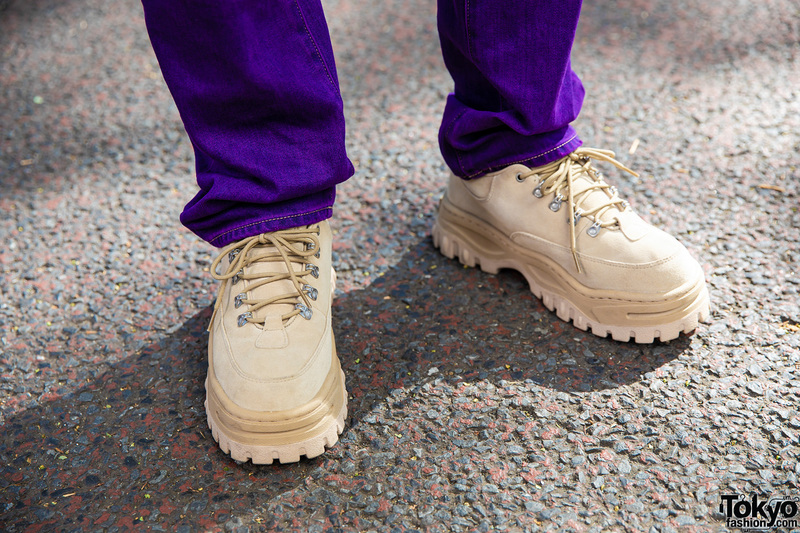 He also wore remake Uniqlo purple pants and tan lace-up shoes from Eytys. 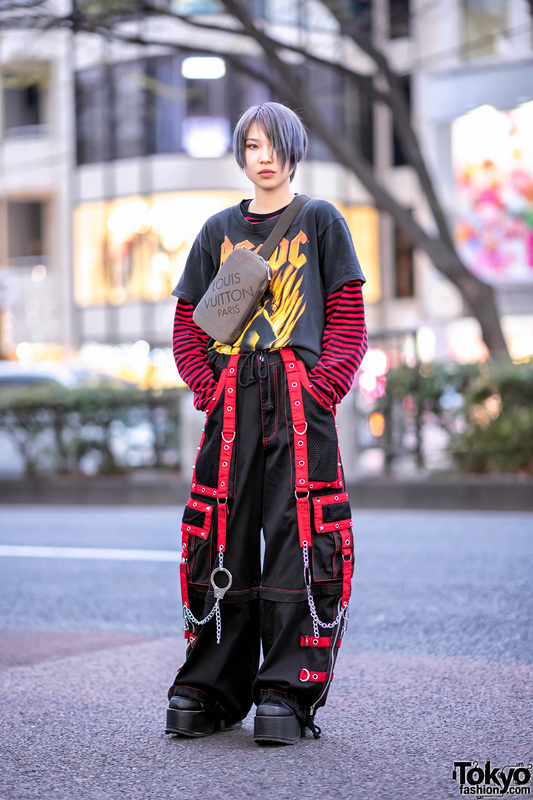 Jin also had a silver chain and his home key attached to his belt loops. 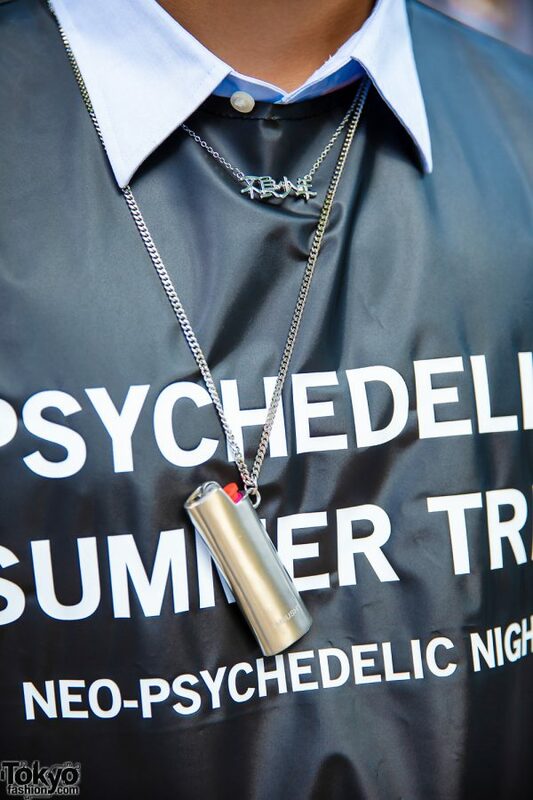 He completed his look with a necklace from Oh Pearl and an Ambush silver lighter hanging on a silver chain. Jin names Eytys, Uniqlo, and Ambush as his favorite fashion brands. He also enjoys listening to music from E-girls. For more on Jin, follow him on Instagram.